A couple of months ago, while using foursquare to check into the McDonald's on Covington Pike, I saw Salaama Market & Restaurant listed among the choices to check-in to. To satisfy my curiosity, I clicked the web link to see what kind of restaurant it was. Salaama is a convenience store, meat market, apparel shop and restaurant all combined as one, specializing in Somali culture. With this being in part an African restaurant, I felt compelled to try it out to see how it compared to similar restaurants I've visited. During my first visit, I decided to go with the Suqaar, a Somali Beef Stew. The entrée, which includes sides of spinach (which tasted like collard greens) and cabbage, consists of beef, carrots, potatoes and onions. The stew is cooked in boiling water until everything is tender. I'm not sure what spices are used in this, but I detected a bit of garlic in it. If the primary ingredients used in this Suqaar dish are the same as what I researched on Google, they are garlic, cumin, cilantro and chicken bouillon cubes. 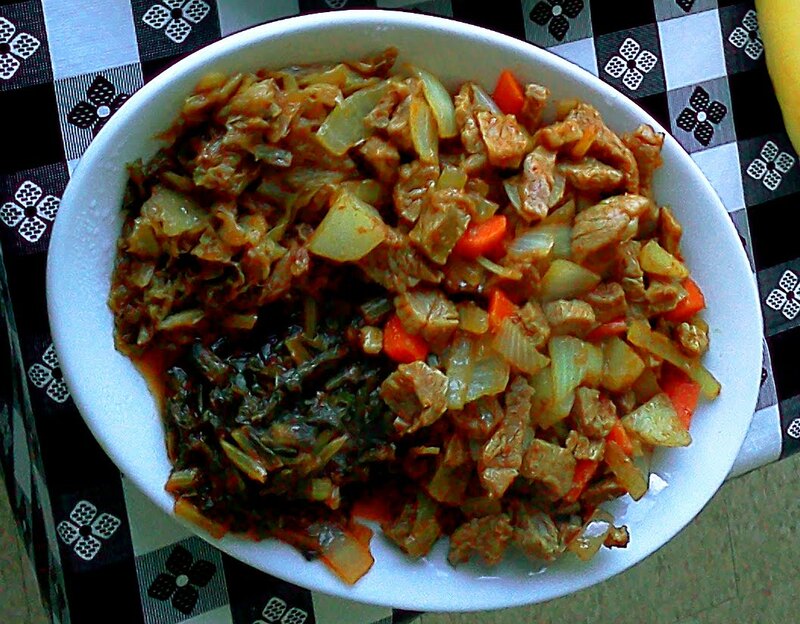 The taste of the Suqaar is mildly spicy and similar to Yebeg Tibes, a lamb dish that I had at Abyssinia. In my opinion, the Suqaar is a really good dish that I thoroughly enjoyed. The Suqaar also comes with a plate of rice, which in quantity is more than the entrée. 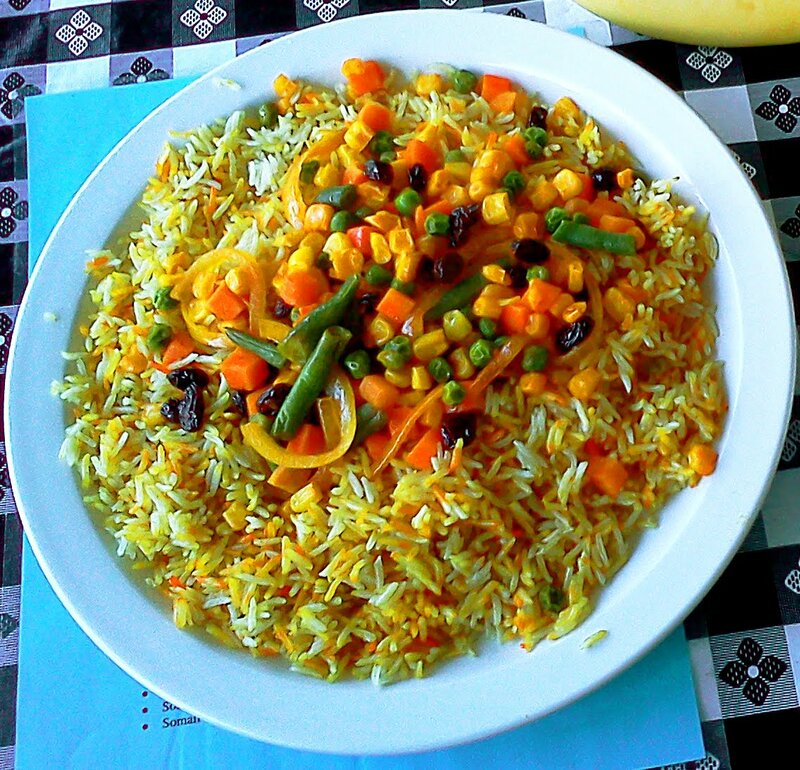 The rice is topped with corn, carrots, green peppers, raisins, green beans and other vegetables. In all, this medley of veggies produces a spicy sweet flavor that meshes well with the Suqaar. In terms of quantity, the rice mix by itself is enough for two people. With the main entrée and a salad thrown in, the meal is overwhelming for one person. I got as far as the salad and a small portion of both the Suqaar and rice mix before having to stop. I got the rest of it to-go and had it for dinner and the next day's lunch. The entire meal, that also includes a couple of bananas, cost $10. Outside of a buffet, you'll be hard pressed to get that much food at that price. For my second visit, I went to Salaama for breakfast to see what it was like. 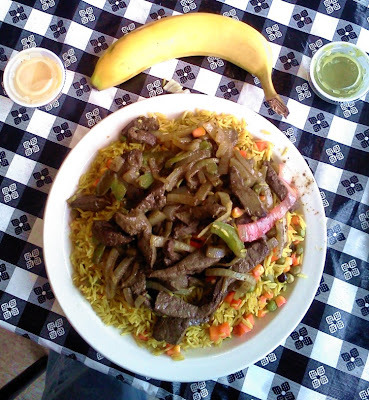 Although Salaama offers traditional menu items like egg omelets and pancakes, I decided to stick with the Somali theme and chose the Goat Liver plate. At $7.99, I assumed that the portion would be smaller than the Suqaar that I had earlier, but I was wrong. My plate, which initially was packaged as a to-go order, was almost as huge as the Suqaar. 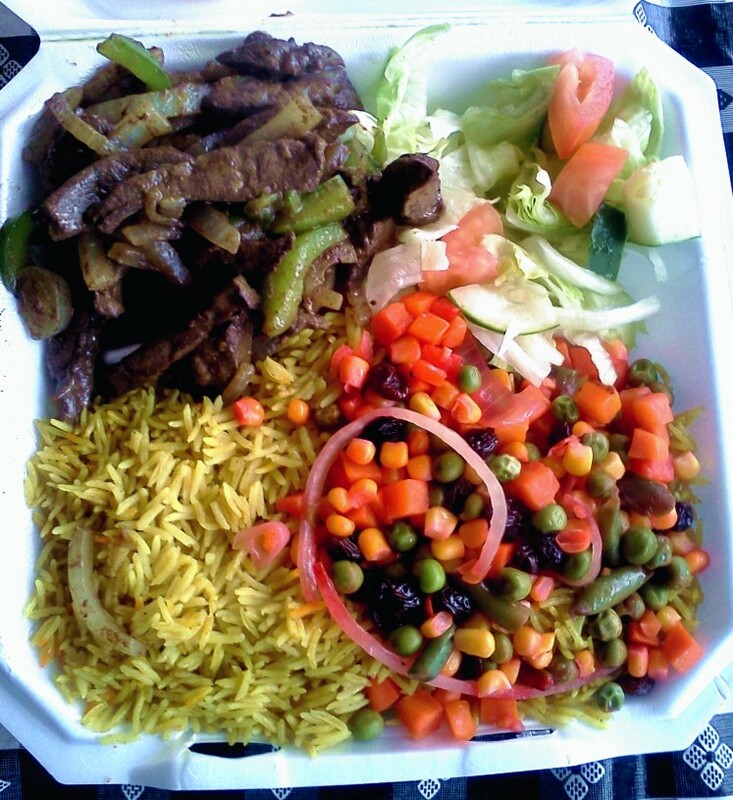 It had almost the same components as the Suqaar, with the goat liver substituting for the beef stew. I knew that I wasn't going to finish it, so I kept my to-go box nearby for leftovers. When my server saw that I intended to dine in the restaurant, she brought me a couple of plates for both the main entrée and side salad. Speaking of my server, she was very helpful in educating me about my order and was very attentive to my needs. This is totally the opposite of what I experienced at the recently closed Gereny, whose customer service was awful. Based on the customer service alone, Salaama gets high marks for excellence. As for the entrée itself, it was good although it lacked the spiciness that the Suqaar had. The goat liver didn't taste any different from what I've had from beef liver, which was surprising. Based on past experiences, I assumed that there would be a difference between the two types of meat. After thinking about it, I realized that both cattle and goats have the same diet, which mostly consists of grass and other plants. That said, the livers of both species should taste the same if they are processing the same foods. I guess I can chalk this up as a "duh" moment. The rice and other vegetables that accompanied the goat liver tastes pretty much the same as what I had with the Suqaar so I won't go into detail about it. Because I ordered it as a breakfast entrée, I could have chosen bread over the rice that might have reduced the entree's size. I decided not to do it when my server told me the bread was the plain white slices and not Injera (I know, Injera is Ethiopian). Along with my meal, I got a small cup of green pepper sauce that had a strong onion flavor. After trying a small sample, I decided against using it while at the restaurant but will indulge in it later. The side salad wasn’t any different from my first visit, which combined with the other "sides" bolstered the goat liver that I came to enjoy. The total cost of my meal came out to $10, not the $7.99 listed on the menu. Normally that would have irked me, but since I stiffed the server on my last visit, I was cool with it. I sure as hell don't want to be known as the stereotypical black person who doesn't tip, so paying more than I expected lifted a burden off my conscience. 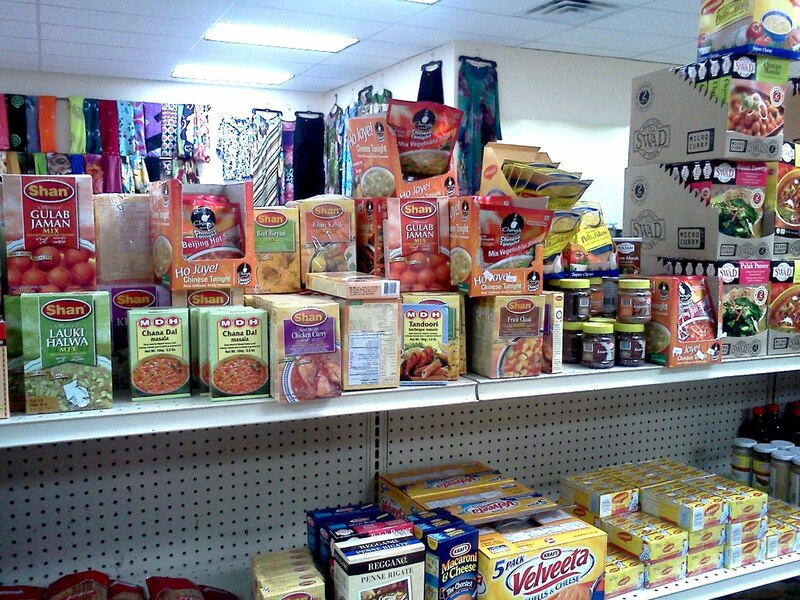 While waiting on my order, I walked around Salaama's convenience store to check out some the other stuff that it sells. 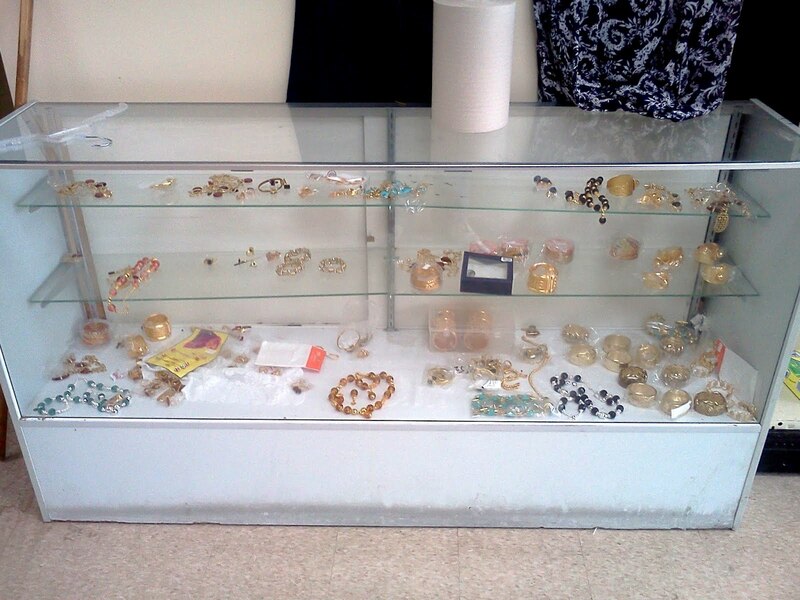 From clothing to groceries to jewelry to fine art, Salaama offers a wide range of African items that can meet many needs of those who require this. Personally, I can't see myself shopping there on a regular basis but if I was looking for an African-themed gift, Salaama isn't a bad place to turn to. In all, my two experiences at Salaama Market & Restaurant were great. The meals were delicious and the people serving it were friendly and welcoming. The restaurant/market is off the beaten path both figuratively and literally, but I hope more people learn of this place and patronize it. 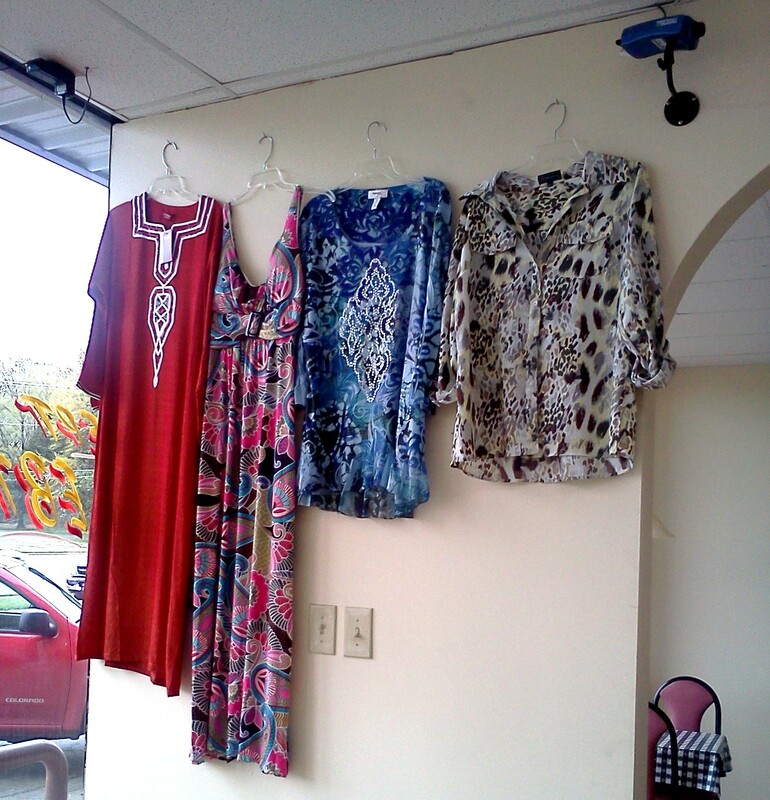 It is businesses like Salaama that makes Memphis diverse and a great place to live. I hope that Salaama has a lot of success in the future.